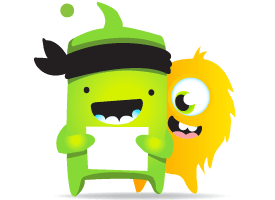 ClassDojo is committed to being transparent with how we handle your information, in full compliance with local, national, and international laws like GDPR, COPPA, FERPA, and others. Below you can see what information we collect, why and how we collect it, where it's stored, and how it's different for each type of user on our platform. Data stored on AWS servers in the U.S. and MLab in the U.S.; back-ups are in the same locations (AWS/MLab in the U.S.); Zendesk in the U.S.; SurveyMonkey in the U.S.
Is this data shared with any other third-party service providers, and if so, who and for what reason? Is this information transferred outside of the European Economic Area (EEA)? Yes - to the U.S.
What is the legal basis for processing this information under the GDPR? n/a - This feature only works in the U.S.
To identify individuals within the school; for example, when adding a post to School Story, we know which teacher posted it. data stored on AWS servers in the U.S. and MLab in the U.S.; back-ups are in the same locations (AWS/MLab in the U.S.); Zendesk in the U.S.
We ask students for their age when they create an account without teacher or parent help for their age on the classdojo.com website and the mobile apps. To determine if we need parental consent for students to share personal information with ClassDojo. data stored on AWS servers in the U.S. and MLab in the U.S.; back-ups are in the same locations (AWS/MLab in the U.S.); SurveyMonkey in the U.S.
data stored on AWS servers in the U.S. and MLab in the U.S.; back-ups are in the same locations (AWS/MLab in the U.S.); also DataDog and Papertrail in the U.S.
data stored on AWS servers in the U.S. and MLab in the U.S.; back-ups are in the same locations (AWS/MLab in the U.S.); also DataDog, Google Analytics, Papertrail in the U.S.